My grandmother made this one for me; so I can’t claim the idea as my own but I’m sure she would be more than pleased to know that I like her scarf so much as to share it with everyone. 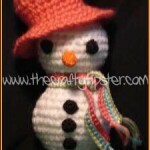 The best part is the Scrappy Crochet Scarf is super simple to make! Anyone who is just learning to crochet will easily impress their friends and family with this super easy crochet pattern. Crochet a chain two times longer than you want your scarf to be wide. Join the ends. 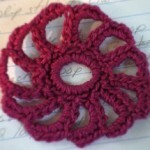 Depending on the look you want to achieve, either keep track of the rows or simply work in spirals. Our scarf used formal rows which probably makes a more professional looking scarf. 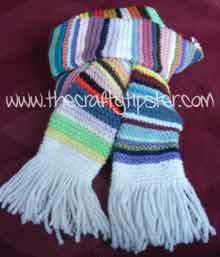 Use small scraps of yarn to create colorful stripes – ideally each scrap will be long enough to complete one row. Use the first few stitches of a new color to secure the end of the previous color and position the tip inside the tube to completely hide the yarn tails. If you are working in formal rows, vary where you start a new color to avoid creating a “seam” at the joins. When the scarf has reached the length you desire, take either black or white yarn to create a “cuff”. To make your scarf lay flatter, add a row or two of the cuff color on each end and then stitch so as to seal the end closed (you’re essentially creating a long sealed tube). To keep your scarf tubey, simply add your cuff without sealing the end. Add fringe, if desired. 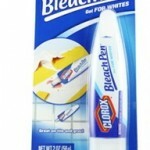 See, super easy, super quick, way cool! This scarf can be made as simple or complex as you want. Try different stitches to create a totally different look. 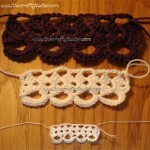 Stitch every other row in the back loops of the previous row to create a ribbed crochet scarf. And, of course, you could always crochet the scrappy scarf with one yarn instead of using scraps.